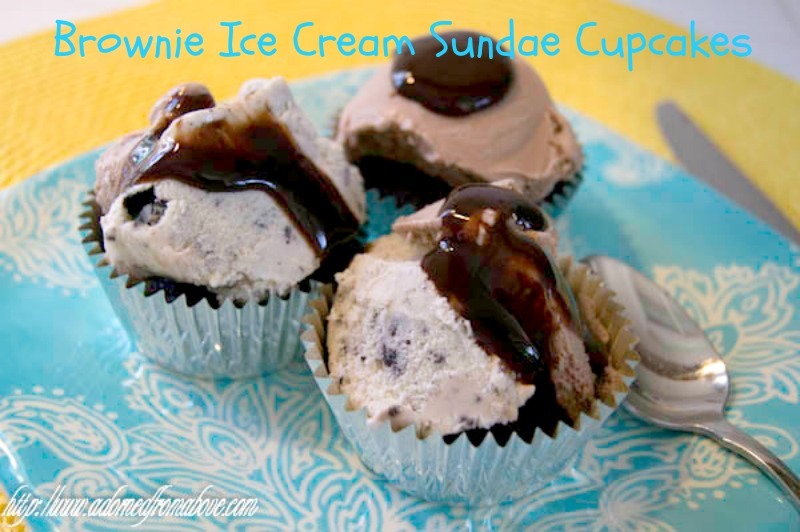 I made these delicious and super easy Brownie Ice Cream Sundae Cupcakes a few weeks ago. You will be amazed and how simple they are to make, and your family will love them. Mix brownies according to the directions on the package. Put approximately 2 TB brownie mixture into each muffin cup. It should fill muffin cup about 1 inch. Bake brownies for 8 to 10 minutes, or until a toothpick comes out clean. Remove brownies from muffin pan and let cook on a rack. 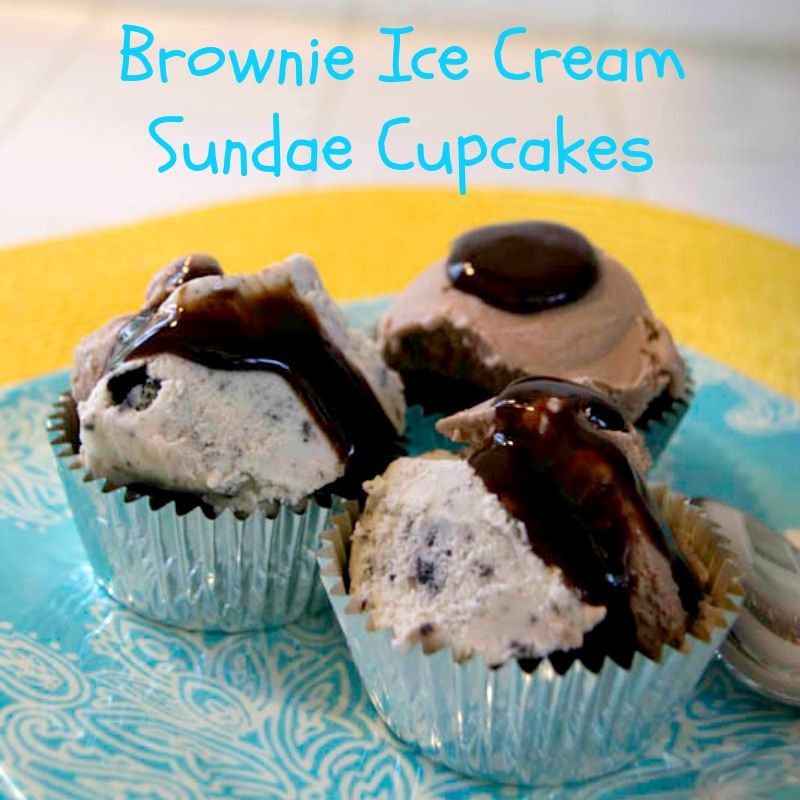 One the brownies have completely cooled, add a scoop of ice cream to each muffin cup. Drizzle chocolate sauce over each muffin cup and put in a tray in your freezer. This was so easy and so good. Everyone loved them, and so did I. I hope you like them also.